I came across a stash of iButton T-sense 1-wire sensors.. so I grabbed a couple and decided to check out 1-wire. 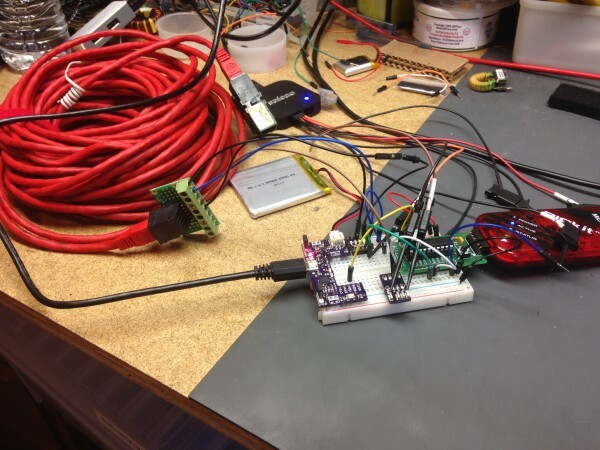 Maxim makes a 1-wire device called the DS18B20. It’s a 9-12 bit temperature sensor with the possibility of being powered by parasitic power from the data line. This cuts the signal path down to a single DQ line and a return. A company called iButtonLink produces a nice little wrapper around this device called a T-Sense. There are a couple pieces of software out there that will allow you to hook these up to monitoring systems, I don’t have any though. These devices come with a 64-bit address code and can be daisy-chained which makes having many of these devices monitored very nice. More details on PNW Electronics blog. This entry was posted on Tuesday, January 6th, 2015 at 7:00 pm	and is filed under Interface, PIC. You can follow any responses to this entry through the RSS 2.0 feed. You can skip to the end and leave a response. Pinging is currently not allowed.